Hampton Ave to Beckett Ave (one block east of Appleton), South on Beckett to property at 8150 W Beckett Avenue. Hello, I’m interested in 8150 W Beckett Ave and would like to take a look around. The details on 8150 W Beckett Ave: This house located in Long View, Milwaukee, WI 53218 is currently for sale for $114,800. 8150 W Beckett Ave is a 1,742 square foot house with 4 beds and 2 baths that has been on Estately for 5 days. 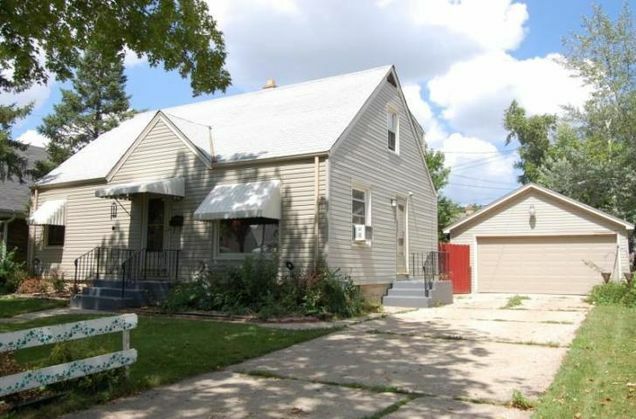 8150 W Beckett Ave is in the Long View neighborhood of Milwaukee and has a WalkScore® of 72, making it very walkable. This house is in the attendance area of Grantosa Drive School, Samuel Morse John Marshall School For The Gifted And Talented, Craig Montessori School, Carmen Middle/High School Of Science And Technology North Campus, Milwaukee German Immersion School, Milwaukee School Of Languages, Milwaukee Sign Language Elementary School, Milwaukee French Immersion School, Lloyd Barbee Montessori School, and King International School.